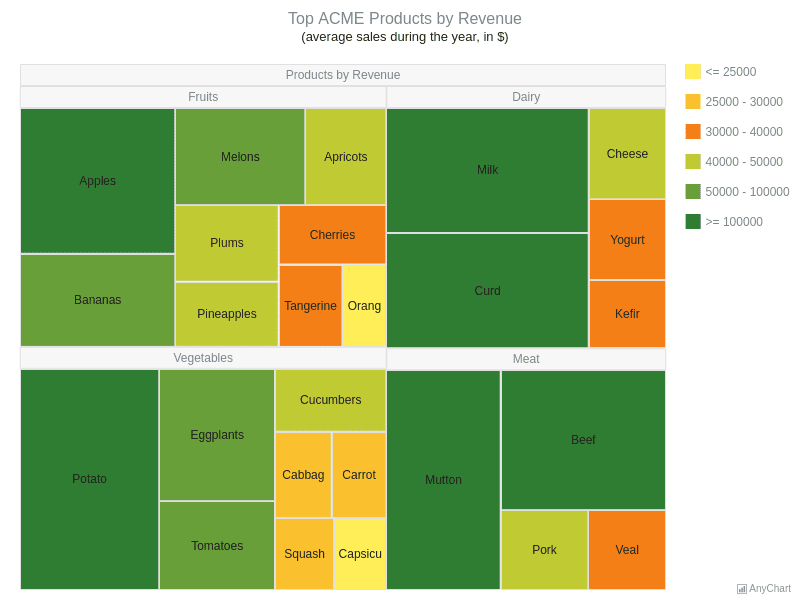 ACME Products by RevenueA Tree Map with 40 elements representing the revenue from selling 40 pieces of food, divided into four categories: fruits, vegetables, dairy and meat. Tooltips show the revenue got from these products sales. 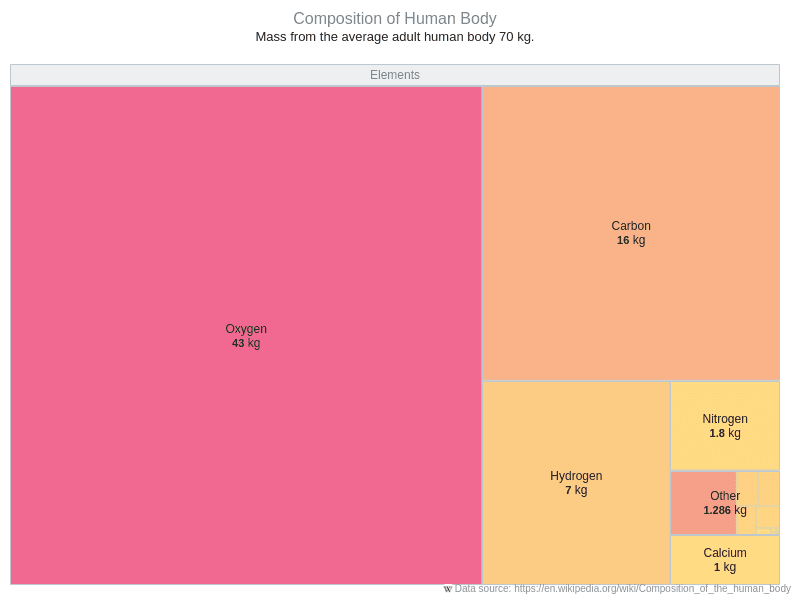 Composition of the human bodyA Tree Map demonstrating the chemical composition of an average human body in kg. Tooltips show the additional information about the effect this element has on a body and if this element is essential or not. Starbucks by CountryA Tree Map Chart demonstrating the number of Starbucks by countries. A Color Range and Color Scale are used for dividing the countries into the groups according to the number of these coffeehouses. 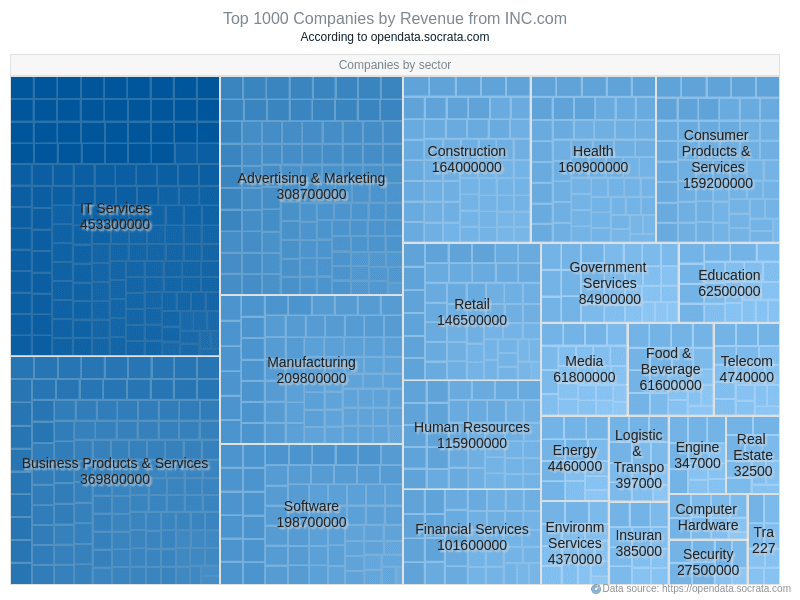 Top 1000 CompaniesThis TreeMap presents the top 1000 companies by revenue (according to the INC.com). Each company belongs to one of 25 industries. US populationThe Chart describes the population in the states of the USA and in the most populated towns of these states. The Color Scale uses colors from red (the highest values) to orange (the lowest values).